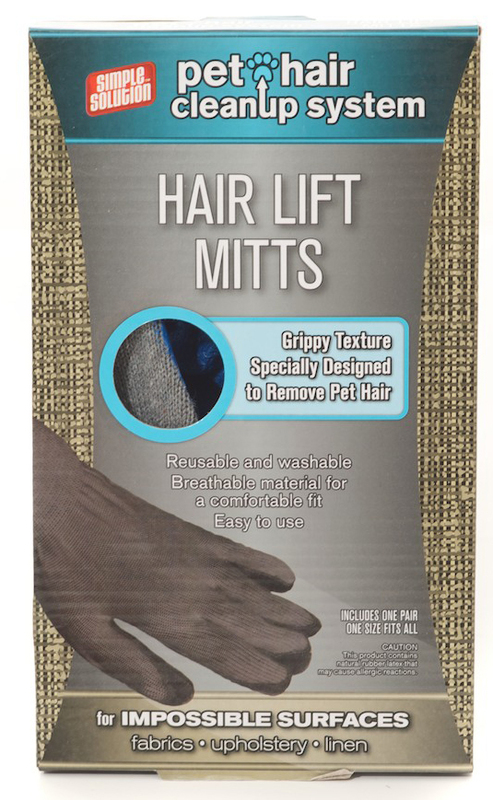 The Simple Solution Hair Lift Mitt helps you to quickly and easily remove pet hair from carpets, clothing, upholstery, bedding and rugs. Use in the car and around the home, anywhere your shedding pet goes. Made up from breathable fabric for a comfortable fit. Machine washable. There are currently no questions for Simple Solution Hair Lift Mitt - be the first to ask one!